Purewater Storage provides a wide selection of high quality float valves including equilibrium float valves. Float valves are incredible useful devices that control the level of fluid within a storage tank. They achieve this by reacting to the changes in fluid level within the tank, and then opening or shutting a valve in response to these fluctuations. Float valves are commonly used for a vast array of applications including in toilets and a variety of other systems, making them a highly versatile product. 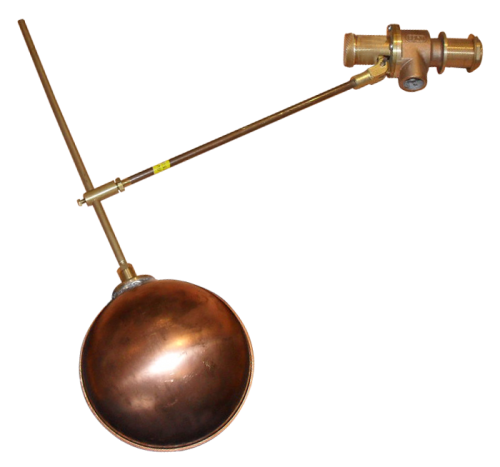 Float valves come in all shapes and sizes and feature an array of innovative designs. 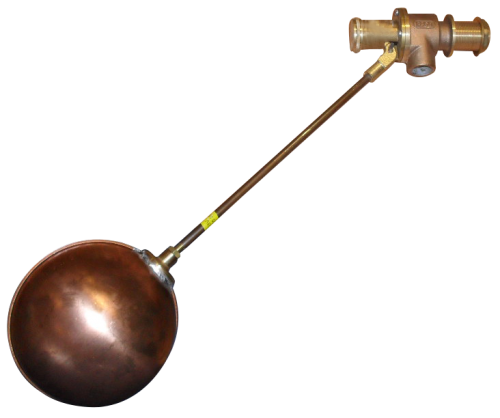 However most float valves, including more complex designs, typically consist of an air-filled float attached to an arm. When fluid levels are low in a tank, the float will drop and keep the valve it is controlling open. As the water level rises it will eventually close the valve, thus controlling the water level within the tank without any manual input being required. Here at Purewater Storage we can supply a fantastic range of top quality valves. Our float valves are suited for a vast range of applications, but as we specialise in cold water storage tanks, we have a particular focus upon this area; including tanks that house properly regulated drinking water, known as potable water. Our collection of float valves includes a broad selection of options including an array of state of the art WRAS approved Equilibrium float valves - also known as equilibrium ball valves. Simple and robust, these valves are specifically designed to compensate for the effect of changing water pressures. We also stock a range of BS1212 float valves which provide a reduced cost option. So whatever your requirements, we're confident that we can supply just the sort of valve that you're looking for. If you would like to find out more about the range of equilibrium ball valves, BS1212 float valves, or indeed any of the other products that we offer, please feel free to contact us on 0121 323 4000 today. We sell a huge range of water storage tanks and accompanying accessories for you to make use of, and will be more than happy to answer any questions you may have concerning our products.